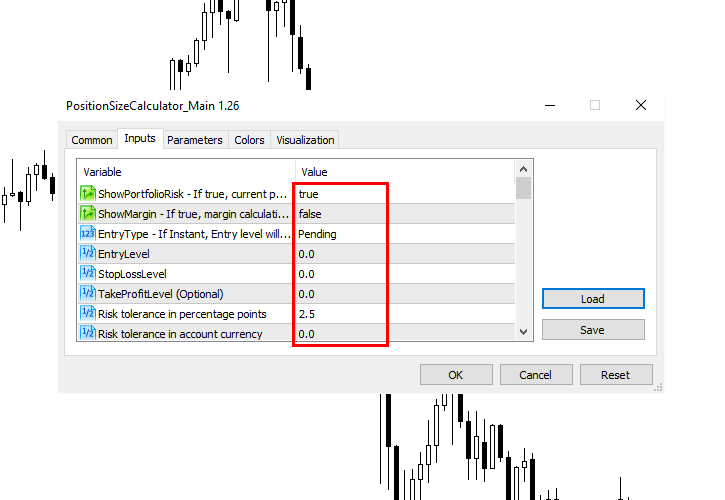 Many MetaTrader users are struggling to work with indicators on multiple charts. 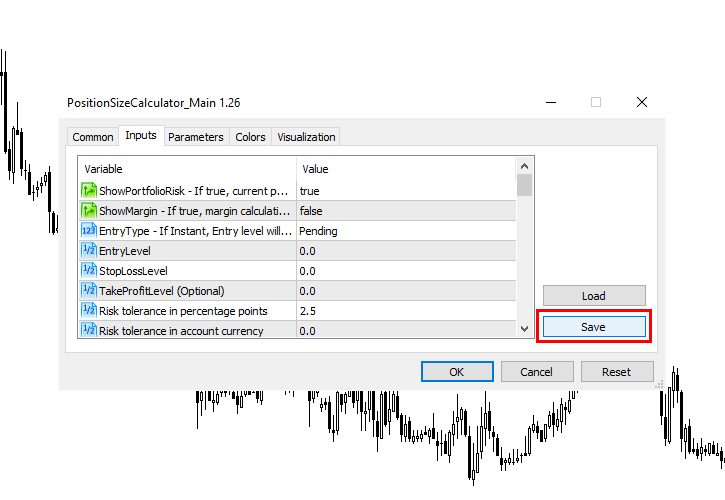 They pose a reasonable question: “Is there a way to save indicator input parameters from one chart and easily load them on another?” The answer is: “Yes, it is definitely possible!” Traders often ask me about it in connection with the Position Size Calculator indicator — it has particularly many input parameters to configure; at the same time, the settings rarely depend on the choice of a currency pair or a timeframe for one user. 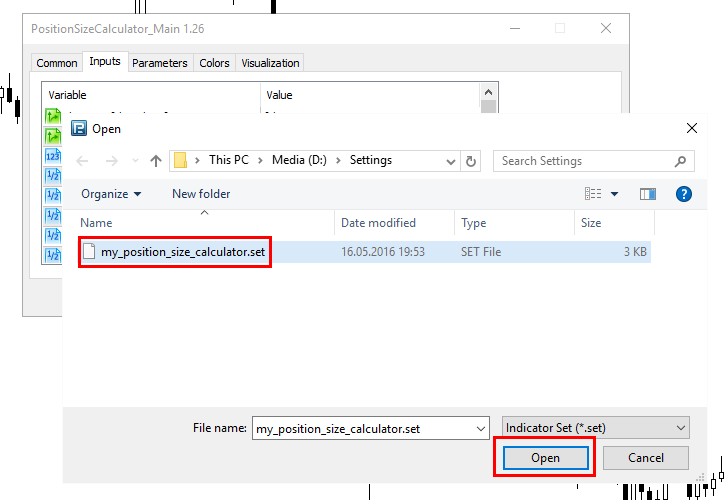 So, in the following tutorial I will guide you through the process of saving and loading indicator inputs using Position Size Calculator as an example. However, you can apply it for any other indicator too. 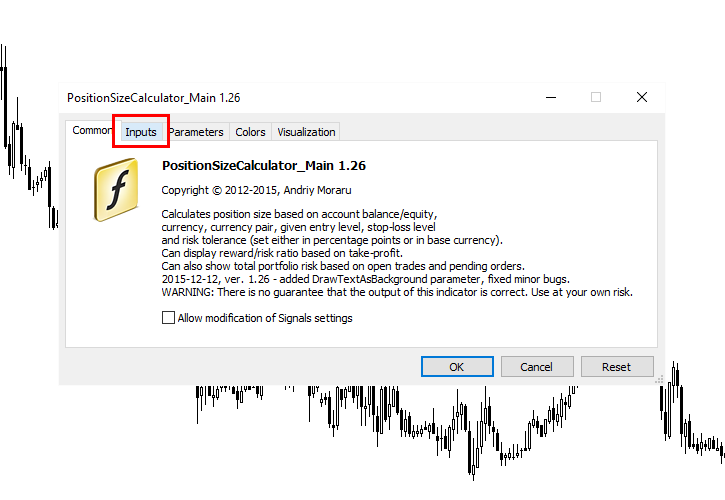 This tutorial is valid for both MT4 and MT5 versions of the platform. This is it! The saved settings can now be loaded on other charts whenever you need them. 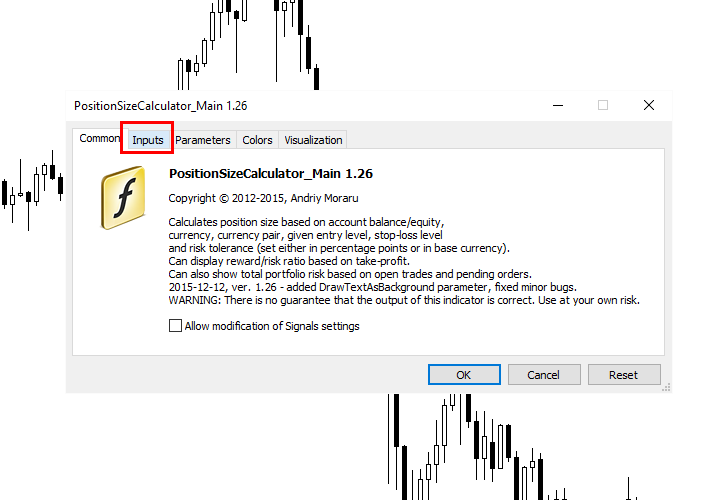 You may now click OK and proceed to using the indicator with the same settings on a new chart. 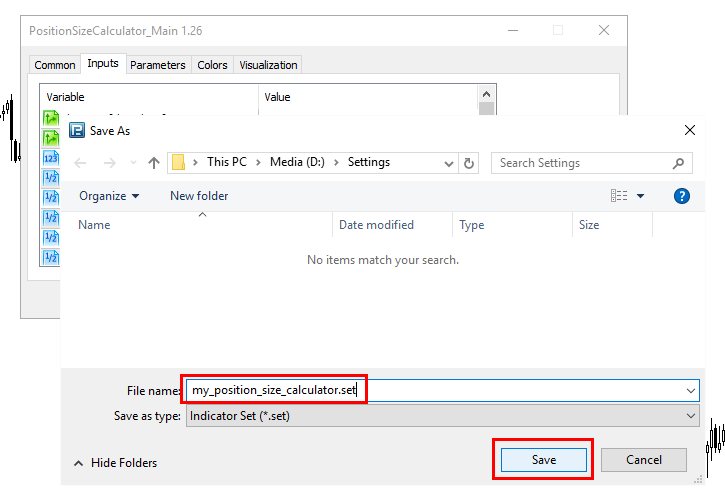 When you have a settings file for an older version of the indicator, and a new version is released, you can safely load the old settings file. The old input parameters will load flawlessly while the newly added input parameters will be initialized to their default values. Input parameters that had been renamed will also load to their defaults. 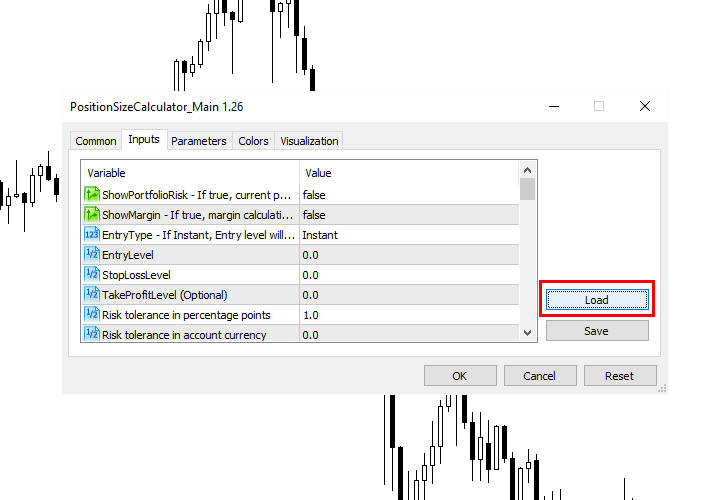 If you liked the tutorial or if you do not understand a part of it and still have some questions about saving and loading custom indicator settings in MetaTrader platform, feel free to leave your replies and ask your questions via the commentary form below. Hello, is there any way to do this with a custom indicator? There is no button to save changes where it normally is. Perhaps in the metaeditor? There should not be any problem with custom indicators. Normal custom indicators still have them in the Inputs tab. The example in the post above is made with the custom indicator after all! I am not sure, but the reason for the missing Save/Load buttons in the Inputs tab could be an .ex4 file of the indicator compiled in some old version of MT4. You can try fixing it by finding a fresh compiled version of this .ex4 or get an .mq4 file of this indicator and compile it yourself. Thank you very, i really appreciate your help in this… saved me a lot of trouble. Thanks again!